Even though everyone experiences pain differently, it can be helpful for you as a parent/guardian to think about the pain in two ways: the physical pain your daughter experiences and how it impacts both her life and that of the entire family. Your daughter’s physical pain may include ongoing pelvic pain, painful periods, and less often, bowel and bladder problems. How this pain impacts her life may include challenges such as: isolation from friends due to unexpected bouts of physical pain, not being able to participate in sports or other activities (because of chronic pain and/or fatigue), and anxiety over school work (because of absences). Her chronic pain can take a toll on family members and other important people in her life, causing added tension and stress. For all of these reasons and more, both you and your daughter may feel frustrated because her health feels out of your control. It is not unusual for one family member’s physical issues to dominate the family system, particularly around the time of diagnosis AND when there is chronic pain. It is important for parents to consider developing their own strategies for remaining calm in the face of stress due to a child’s illness. Stress–Relieving Techniques: Learning to manage life stress is important under any circumstance, but it is essential when you are living with someone who experiences chronic pain. Many young women with endometriosis feel overwhelmed with managing both their pain and their stress. You may feel overwhelmed at times, too. You can encourage your daughter to effectively manage her stress by helping her incorporate the following techniques into her daily life. You may also want to try these techniques to help manage stress. Write down any additional things that you have tried to encourage your daughter to do that have been successful. We hope that your daughter will develop her own personalized list of things to do when she is experiencing a pain flare–up. Her list may include things such as taking a warm bath or shower, lying down with a heating pad, doing yoga poses, reading a good book, watching a favorite TV show, movie, or listening to music. It’s important that this be HER list of techniques that she finds useful and accessible when she needs it! Managing pelvic pain at school: Does your daughter’s endometriosis pain get in the way of plans to attend school or her ability to stay for a full day? Does her academic performance sometime suffer due to absences, missed assignments or difficulty keeping focused? It is not uncommon for families to experience tension due to poor school attendance and performance issues. Dealing with pelvic pain in a school setting can be very stressful, for both you and your daughter, particularly if teachers and school nurses are not familiar with endometriosis and are unaware of the pain your daughter must cope with on most days. Below are some of the realities of being a parent of a teen with chronic pelvic pain. Also included are suggestions on how to help her deal with the symptoms of endometriosis while at school. Note that ALL of the tips depend on being prepared. Know her pain tolerance threshold. Your daughter’s pain will likely be mild some days and severe on others. Encourage her to use a “Pain and Symptom Tracker” to track both pelvic pain and any related discomfort she experiences each month. Talk with your daughter about what she can tolerate in school and what she simply cannot manage. This is best done during a pain–free time when you are both calm and are thinking clearly. Urge her to communicate with close friends about what it’s like to have endometriosis, why she sometimes misses school or activities, and how they can be supportive. With your daughter, identify an adult contact person at school. For example, you or she can ask the school nurse, a favorite teacher, or class aide to be a “point person” she can go to for support. Choose someone with whom you both feel comfortable sharing your daughter’s endometriosis history, and who can be supportive and available during the school day. Share information about endometriosis only with your daughter’s permission with the contact person, as well as teachers, school nurse, coaches, and friends. Those around your daughter are likely to be more understanding and supportive if they know what endometriosis is, and how it impacts her life. Make a plan for pain at school. Encourage your daughter to talk with the school nurse and find out if there is a place at school where she can lie down if she has severe pain. Make sure your daughter has enough time in the morning to get ready for school. She may need to wake up earlier than her friends or siblings to get ready, especially if she is having pain. Do your best to help your daughter stay on top of her schoolwork. If she needs extra help with a particular subject(s), she should talk with her teacher before the school work piles up. If she has to be absent from school for more than a week, you can look into arranging a home tutor. It’s necessary for your daughter to keep in touch with her friends. Even when she is absent from school, she should try to talk to at least one friend every day either on the phone, via text messages, e–mail, or on a social networking site. She will feel less isolated and it will be easier for her when she returns to school. Managing activities, friendships, and chronic pain: As a parent or guardian you are aware that living with chronic pain can impact all areas of a person’s life, even those areas that are typically fun and enjoyable. Your daughter’s pain from endometriosis can sometimes get in the way of being able to do things with friends both on a daily basis and for special events. Her friends, family, coaches and teachers may appear frustrated and discouraged when her pain causes her to decline social invitations or when she appears to avoid activities. Your daughter may even worry about canceling plans too many times with her friends or not being a “good friend. One technique that other parents find helpful is to plan strategies that your daughter can use to deal with unexpected pain in social situations. Encourage your daughter to organize activities that can be held at your house (such as craft parties, reading groups, board–game marathons, watching movies) if it is more comfortable for her to be home. Make sure her close friends, coaches or activity directors understand that her pain is a real medical condition. 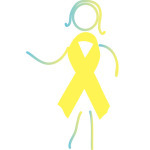 Educate them with information about endometriosis. Is there an activity your daughter really wants to do but is scared about fulfilling the requirements or keeping the commitment? Many group activities require a wide variety of participants in many roles. She can explore the options with the group leader, explaining that she wants to be involved in any way that she can handle. Plan ahead. Does your daughter have an event coming up that feels more stressful than fun? She can go back to her personalized list of coping strategies in anticipation of pain. If she does have to cancel with friends or family, or either of you realize she can’t participate in an activity as planned, try to take it in stride: explain promptly, offer alternative options, and help her to take care of the pain. Her friends, family, and others will respect her more for being honest rather than not showing up without an explanation. Complementary therapies for pain management: Some young women are helped by surgery, some by medication, and some with a combination of both. Many young women find that adding complementary therapies to traditional treatment helps manage their pelvic pain more effectively. Yoga involves a series of poses and gentle stretches. There are many different kinds of yoga. You and your daughter can explore yoga classes at your local YMCA, health center, and yoga studio. Many girls find it helpful to take yoga classes. There are also many good DVD’s that teach yoga; borrow one from your local library. Acupuncture is an Eastern Asian medicine that involves the insertion of very fine needles into “acupuncture points” in the body. This is thought to stimulate the body’s nervous system to release certain chemicals in the muscles, spinal cord, and brain, which in turn releases other chemicals and hormones in the body that may help to improve pain and other discomforts. Acupuncture may be covered by your health insurance. Massage therapy is another complementary practice which some girls with pelvic pain find helpful. There are several kinds of massage therapies available. Massage treatments are often combined with gentle heat. Learning how to cope with pelvic pain can feel like an overwhelming task at first for both you and your daughter. However, the more strategies and techniques you both learn, the easier it will become. Having the support of important people in your daughter’s life will have a significant impact on how she manages her pain. When she learns how to take charge of her pain, rather than allowing it to take charge of her, she will have the confidence to live her life to its fullest potential.